Once there was a Poptropican named Young Jumper. She and her best friends, Shy Leaf and Wild Knuckle, lived on Reality TV Island. Until just last year, they were friends with Moody Bug, but then he moved to far away, Super Power Island, because his dad got a job at a local bank. It was the day before Halloween and, with her parents’ permission, Young Jumper got to go in the blimp to pick up Moody Bug from Super Power Island because the civilians on Super Power don’t celebrate Halloween. She had called Moody’s house the day before she had left, but no one answered. The next day, Young Jumper guided her blimp all the way to Super Power Island. It was noon by the time she got there. She was glad to see Moody had gotten her message, and he was waiting by the Comic Shop. However, Moody always got his holidays mixed up. Last year, Moody went as a firework, and Young groaned when she saw he was wearing an Easter bunny outfit. “Well,” said Young, “I guess it’s better to go as bunny than a rocket. After all, there are some evil bunnies out there, right? Isn’t there a villain named Dr. Hare who looks like a rabbit? “That’ll be great!” said Moody. So they got into the blimp and made the long journey all the way back to Reality TV. It was very late when they got back, and they ate dinner composed of doughnuts from Mike’s groceries before going to bed. She bolted up in her bed. It sounded like somebody was trying to brake in! “Unggghh. I’m trying to sleep…” he replied. “No, don’t know what you’re talking about. Now let me sleep….. zzzzzzz……. zzzzzzzz…. zzzz….” Moody had fallen asleep again. Cautiously, Young put her head down and went to sleep. When they woke up, they went into the kitchen. The TV was on. “What do you think, Friendly Ice?” asked the reporter on TV. “What’s going on?” asked Young. Young’s Dad pushed a newspaper in front of her. “Halloween Banned on Reality TV Island!” the headline screamed at her. “Who decided to ban Halloween, anyway?” Young asked. “It was our new mayor that people don’t really like, Mordred. 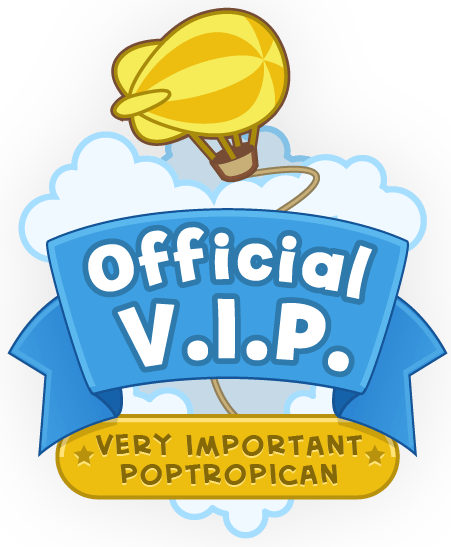 I really don’t think this will help his popularity ratings,” the Poptropican being interviewed replied. Young’s Dad turned off the TV. And so they were off. After running to get Shy and Wild, who lived a couple of blocks away, everyone was off in the blimp to Spy Island. Soon the four arrived on Spy Island. Shy looked at his watch. After looking around on the island for a little bit, Shy found the place they were looking for. “It says here that they don’t open until five,” Wild said. “It’s just about noon,” Shy said. “That explains why I’m so hungry! Let’s go to that bistro across the street. Maybe they have carrots,” Moody said, licking his chops. “You were never allergic to peanut butter,” Wild replied. “I wasn’t? Then the doctor must have written down the wrong thing. Let’s go in! I need to go to the bathroom anyways,” Moody said. He went in. Wild looked around suspiciously and said to Young and Shy, “There’s something wrong with him. A doctor can’t cure an allergy.” He paused for a minute. “Let’s go in,” he said, and the three of them entered. Young noticed that the name of the bistro was the “Bad Bistro.” Could this mean something? Moody was still in the bathroom when they entered, so they sat down at a table. Young suddenly remembered the thumping in the middle of the night. She told Wild and Shy about that. Shy, Wild, and Young all looked at each other. They thought this was weird. Really weird. “…and we interrupt this program to bring you breaking news! Exclusive on the PBS, or Poptropica Broadcasting Service! Halloween has been banned on another Poptropica island!” the TV screamed. The man being interviewed sighed. Loud Ice’s face turned red and bounced up and down. “It makes me so mad!” he said. “Halloween is really the only holiday we celebrate on Great Pumpkin Island! It’s very important to us and it helps our economy. I’m one of the pumpkin farmers and this is really going to hurt business! It’s also a big part of our culture. Everybody celebrates Halloween on our island – we treasure it! It is expected of our children to go out trick-or-treating!” Loud Ice started to cry. “I’m just… so sad…” He ran off of the TV screen. “That concludes our breaking news report. Thank you for watching. Now back to our previous program,” the news reporter said. Right about then, everyone’s food arrived. They ate. Young thought her burger was good, despite the name of the bistro. Soon everybody had finished. They paid and left. They explored the island and found the three roads that they would be trick-or-treating on: Main Street, Balding Avenue, and Toupee Terrace. Soon it was time to go trick-or-treating, and everyone put on their costumes. Moody put on his rabbit costume, Young put on her skeleton costume, Shy put on his ghost costume, and Wild put on his green mask he had gotten on Great Pumpkin Island. “Wild, that’s only a mask. Wear a real costume,” Shy said. About an hour and lots of candy later, Young and her friends decided that they were done trick-or-treating. “Look at all this candy we got!” Young said. “Wow. This is the most I’ve ever gotten from trick-or-treating,” Shy replied. “See? I told you. They loved my costume,” said Wild. Eventually, the group came to the building labeled “Spy HQ.” They went in. A man with gray hair wearing a white suit with a bow-tie was sitting at the front desk. Young and her friends went up to him. With that, Director D. gave Shy the device. It was beeping very slowly. “That’s all I know. Good luck!” said Director D.
Director D. looked around. Then he motioned for the four poptropicans to come closer. “If you want to know the truth, then find these clues.” He then walked away. “I knew there was a more important reason for the bans!” Young said. “To the docks we go!” said Moody. Suddenly, a metal trash can toppled over. A dark figure jumped out from behind it, grabbed Moody and took off. Moody screamed. This startled the figure, who accidentally dropped Moody out of surprise and ran away. Moody fell into the water. Young, Wild and Shy raced over to the water. Moody was floating, but he had lost consciousness. Moments later, it returned. “What… What happened?” he asked. “No. Please? I really want to finish this. There are only two more, and I think this is the only one on the docks,” Moody said. “Wait… What’s inside? What does the clue say?” Shy asked. Moody tried to open the capsule. He failed. They arrived at the Spy HQ and went in. They walked up to the front desk and told Director D. what had happened. The four of them walked over to Balding Avenue. The beeps started getting faster. They started to slow down once they got past the Bistro. As they turned on to Toupee Terrace, the beeping grew faster. It kept getting faster until they arrived at the foot of a building. Once they passed the doors, the beeping slowed. “It has to be in this building!” Wild said. “Well, there’s one problem. This door doesn’t have a handle. We can’t get in,” Young said. “Why wouldn’t a door have a handle?” she wondered. “Maybe it’s on top of the building,” Shy suggested. Shy ran over and tried to pick the ladder up. He dropped it after lifting it an inch or so off the ground. “Ug. What’s that thing made of? It’s incredibly heavy!” he replied. “I guess the only way to move it is if we work together,” Wild suggested. Everyone decided to try that. They all lifted the ladder, and after a bit of struggling, they got it in front of the door. “Look at that!” said Wild. “It’s the perfect height!” He climbed the ladder, got the capsule, and came back down. “Let’s take this back to Mr. D,” he said. Everyone ran back to Main Street. They entered the Spy HQ. “Back so soon?” asked Director D. He took the clue. “How is your Halloween so far?” he asked. “What do you think of the bans?” asked the director. 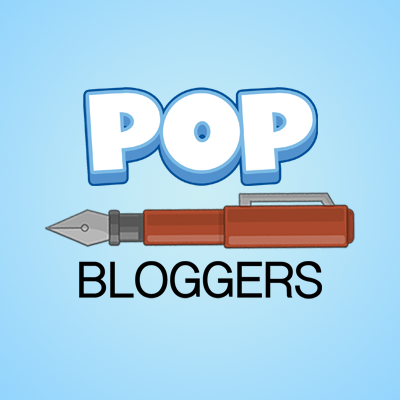 The four poptropicans left the building and went back to the bistro where they had lunch. The speed of the beeping kept increasing until they were in front of the restaurant. “Maybe it’s on top of the building again,” Shy suggested. He climbed up to the top of the bistro using the windows and the bowl of spaghetti. He looked around the rooftop before looking back down at the other three poptropicans. Moody climbed on top the bistro and took the device from Shy. Then he used the windowsills to climb to the top. Moody kept climbing and climbing until he was almost at the top. There he stopped and looked at the wall of the building he was standing next to. He crouched down and looked at a hole in the building that was slightly too small for him. They he climbed back down. “Where is it?” asked Wild. Slowly but surely, Young climbed the building and came to the hole Moody was talking about. She crawled in. “Phew,” she thought. “I don’t have to worry about falling for now.” She saw the metal capsule, took it, and crawled back out. “Now how am I going to get down?” she thought. After looking at the situation for a bit, Young decided that the only way was the way Moody did it. She took a deep breath, jumped… AND MISSED! Young was falling rapidly straight down to Balding Avenue. She screamed. “I knew this was a bad idea,” she thought. She was going to die! She closed her eyes. Young opened her eyes. She was in Wild’s arms. Young looked down. They were still a long way up. “J-Just go down,” Young stammered. Wild brought Young back down to the ground. Young was still shaken from her fall. She sat on the bench next to the bistro for a while to regain her balance. Young spoke again. “We’re returning this last thing to Director D and then we’re going home. This thing has been way too dangerous. Moody almost got kidnapped, we could have gotten electrocuted, and I just almost died. If Wild didn’t have his jetpack…” Young shuddered. The four poptropicans went inside the bistro and got some water. They rested and watched TV. The news was on, and Young was only half listening, when of a sudden, the words “Breaking News” flashed across the screen. The four poptropicans left and went back to the Spy HQ. “Do you have the last clue?” Director D asked. “Yes,” Young said. She put the clue down on the desk. Director D looked astonished. “H-h-how?” he stammered. Director D snapped his fingers. The doors locked. “That-That-That was all you?” Shy asked. “Bwahahahaha! Yes. I am responsible for the Halloween bans. Hypnosis is very powerful, or ‘influential on other mayors,’ as the PBS called it. Although I couldn’t have done it without my helpers,” said Director D.
Moody ripped off his mask. He revealed himself to be Dr. Hare! Young looked at Wild and Shy. Wild clearly had no idea what to do, but Shy looked like he was forming a plan. Young stared at him in case he communicated with her in some subtle way. “NEITHER!” Shy screamed. He ran over, threw off his ghost costume, threw it on Director D, tackled him, and punched him repeatedly. Binary Bard came running over to try to take out Shy. A flash of yellow light came from Binary Bard’s eye and hit Shy. He started screaming; he had been electrocuted. Right then, Wild ran over and got involved too. He snuck up right behind Binary Bard and opened his backpack. He tossed a few things out of it, including the cell phone, which broke into a bunch of pieces. Young saw what Wild was about to do and shouted “Bad idea!” but Wild didn’t seem to hear or listen and pulled out the bucket of water before dumping it all over Binary Bard. Shy stopped getting electrocuted and collapsed against the floor. He lifted up the sheet that made the ghost costume and saw that Director D had been knocked out. Shy rolled away from him and then lost consciousness. Binary Bard started screaming numbers in binary. The mechanical part of his face looked as if it was melting away. The human part of him was clearly being electrocuted. Water conducts electricity, and so did the metal bucket Wild was holding. Wild also got electrocuted and became paralyzed and rooted to the spot. When the bucket was empty, he lost consciousness and collapsed on the ground away from Director D.
“No she isn’t,” a familiar voice said. “And how dare you try to imposter me!” Moody punched Dr. Hare in the back of the head. Dr. Hare fell at the feet of Moody. “H-How did you escape?” asked Dr. Hare. “No, I’m not,” said Dr. Hare. He pushed Moody’s legs. Hard. Moody screamed and fell on top of Dr. Hare. He landed flat on the back of his head and was knocked out cold. Dr. Hare rolled over out from under Moody and got up. “Now it really is just you and me,” he said. Young looked around. There was nothing she could do. The cell phone wasn’t an option. She couldn’t leave. Young couldn’t think. She felt like she had no control and was being moved around like a puppet. Young vaguely noticed Dr. Hare going to get something. Just then, someone got up from the pile of knocked out Poptropicans. Young couldn’t tell who it was. He said something, but Young couldn’t tell what. He said something else. He walked up right in front of her and said something. Then he smacked Young, which made her snap out of her hypnosis. “Art thou in need of assistance?” the person asked. “Who are you?” Young asked. “Thou art in the presence of the noble sir Mordread, to help folks who neediest help most,” said Mordread. Suddenly Young understood what was going on. Mordread was Binary Bard before he had been fused with a machine (that was probably Director D or Dr. Hare’s doing) and the water had destroyed the machine in him, turning Binary Bard back into Mordread. Young saw something pink moving towards them – Dr. Hare was coming back. “Do you see that man over there? In the pink suit?” Young asked Mordread. “Doesn’t thou want to slay him?” asked Mordread. Moody regained consciousness. He got up and went over to Young and Mordread. “Do you think the others are going to recover soon?” Young asked Moody. “I don’t know. What are we doing about Dr. Hare?” Moody said. Dr. Hare got in his Rabbot and started marching it towards Moody, Young, and Mordread. “I have an Idea,” said Moody. “Follow me! Mordread, you stay here!” Moody shouted over the roar of the Rabbot engine. He stopped to pick up the empty water bucket before running over to right underneath the Rabbot. “Climb a leg!” He shouted. He started climbing up the left leg. Young didn’t know if this was a good idea or not, but she did what she was told. It was incredibly hard to hold on since Dr. Hare kept jiggering the legs to try to make Moody and Young fall off. Moody stopped at the waist of the Rabbot and waited for Young. “Look for the door that leads to the engine!” he shouted. “How do you know there is one?” Young asked. Young threw it open and saw the massive engine. Moody arrived and went in. He stuffed the metal bucket in the engine. The bucket was electrocuted and it electrocuted the engine itself, causing sparks to fly everywhere. There were way too many sparks which made the gasoline explode. The Rabbot stopped moving and began to sway. “NOW JUMP!” screamed Moody over the noise of the explosions. “IT’S THE ONLY WAY!” screamed Moody. He took Young’s hand and jumped. Both of them screamed. Mordread ran over. Somehow, he was able to catch them, and they survived the jump. They ran to the opposite side of the huge room. The Rabbot exploded and completely toppled over. It landed right on Director D, who was just about to regain consciousness. Young was sure that both Director D and Dr. Hare were at least unconscious, if not dead. The three poptropicans stood there for a few minutes. Moody broke the silence. “We did it! We saved Halloween!” Moody smiled. “What about everyone else? What about Shy and Wild? What about Director D and Dr. Hare? What about Mordread?” Young asked. Moody went over to Director D. He lifted up the sheet. “Do you remember this man?” he asked Mordread. “Nay. Never seen him,” said Mordread after looking Director D over. “Then it’s probably safe for you to go back to Astro-Kinghts Island,” said Young. “Hey! Look what Director D has!” Moody said. Young and Mordread ran over. Moody pulled out a key from underneath the sheet. He ran over and tried it on the door. It fit. He opened the door. “Let’s see if anyone has a phone we can barrow,” he said. The Hair Club next door had a phone that they could barrow. Young called 911 and told them everything that happened. The police came over and took Dr. Hare and Director D to a hospital where they were immediately pronounced dead. Shy and Wild were taken to a different hospital, which happened to be on Reality TV island. Young and Moody went back there with their blimp, and Young told her father everything that had happened, who told Shy’s and Wild’s parents. Young and Moody went to the hospital to see Shy and Wild. Both were paralyzed due to the shock. Shy had regained consciousness, but Wild had not yet. Young and Moody came running in to Shy’s room. “He hasn’t regained consciousness yet,” said Moody. “I hope he’s not… Do they think he’s… Is he…” Shy stammered. Right then, Wild came in in a wheelchair. Everyone smiled. Young hugged Wild. Wild and Shy recovered. Shy was able to walk again after not too long. Wild, on the other hand, was much less fortunate. His legs were permanently paralyzed, and he would never be able to walk again. Other than that, though, he was back to his normal self. Director D and Dr. Hare were buried in front of Erewhon Prison on Super Villain Island. The people thought that they were so terrible for doing what they did to Wild, Shy, Moody, and Young that they deserved to be buried as close as possible to the prison for the worst villains. Mordread went back to Astro-Kinghts Island. The museum he owned about himself changed into a museum about the tale of Wild, Shy, Moody, and Young and how they saved Halloween. Because of this, Wild, Shy, Moody, and Young became celebrities. Everyone knew about them, and everyone wanted to meet them. The next year, on Halloween, Moody, Wild, and Shy went over to Young’s house. Young was going as a zombie, Shy was going as a skeleton, and Moody was going as Director D. Wild showed up without a costume. The return of the binary bard will be WAY longer! Oh, WHOA. 😯 I am still going to read it no matter what, though! I mlove reading…..